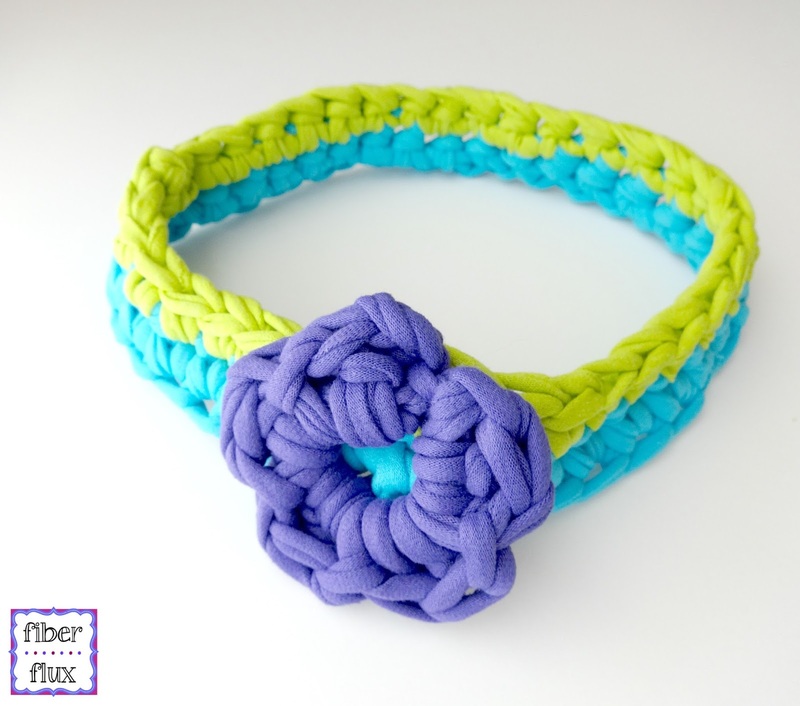 Fiber Flux: Free Crochet Pattern...T-Shirt Yarn Headband! 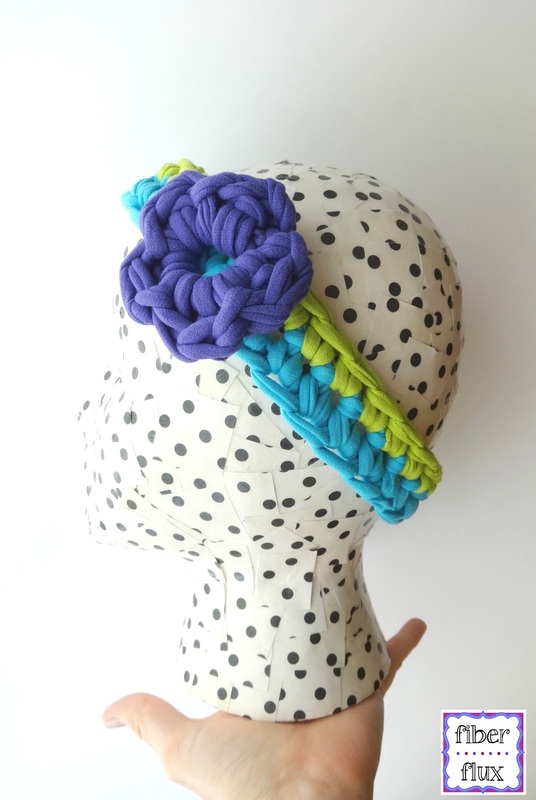 Free Crochet Pattern...T-Shirt Yarn Headband! Summer is in full swing and here is a pretty and simple headband that you can whip up super fast. 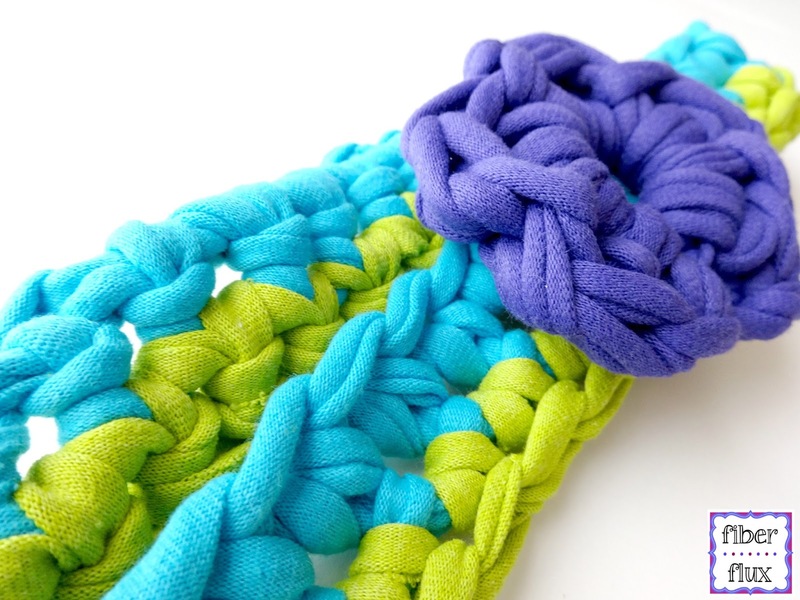 Made in cool and squishy t-shirt yarn, it is perfect to wear to the beach or pool! Round 1: Ch 1, then sc in the first ch. Work a sc in each ch, then join with a sl st to close round. 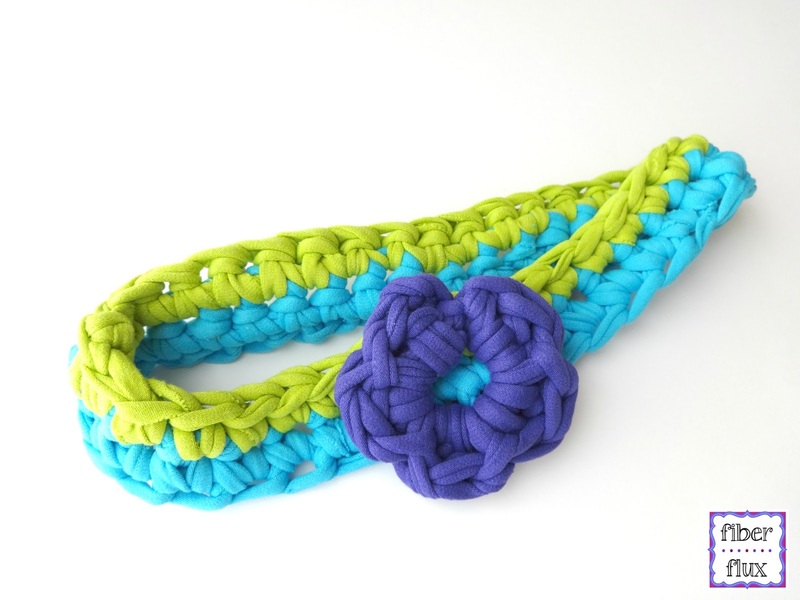 Ch 6 and join with a sl st to form ring. Ch 3 then work a dc in to the center of the ring. Work a sl st in to the center of the ring. Work *(2 dc, sl st) into the center of the ring. Repeat from * three more times for a total of five petals on the flower. Join with s sl st to close and fasten off.